Carlson Wagonlit Travel (CWT) today announced that Andrew Jordan will join as Chief Technology Officer, effective 4 April, 2016. Reporting to Douglas Anderson, CWT’s president & CEO, Jordan will become a member of CWT’s global executive team and will be based in CWT’sCanary Wharf office in London. Building on CWT’s combination of technology and travel innovation, Jordan will continue to develop CWT’s technology and IT infrastructure, enabling CWT to offer even more connected, mobile and personalized services to clients and travelers. 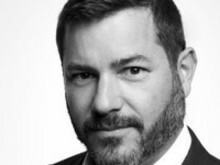 Jordan brings to the role extensive experience across leading B2C and B2B brands and is currently SVP, Technology and Operations for NBC Universal International, having previously held senior leadership positions within the technology functions at Citigroup, dunnhumby, Thomson Reuters and NBC. A law graduate from the University of Nottingham, Jordan also holds an MBA from the University of Surrey.